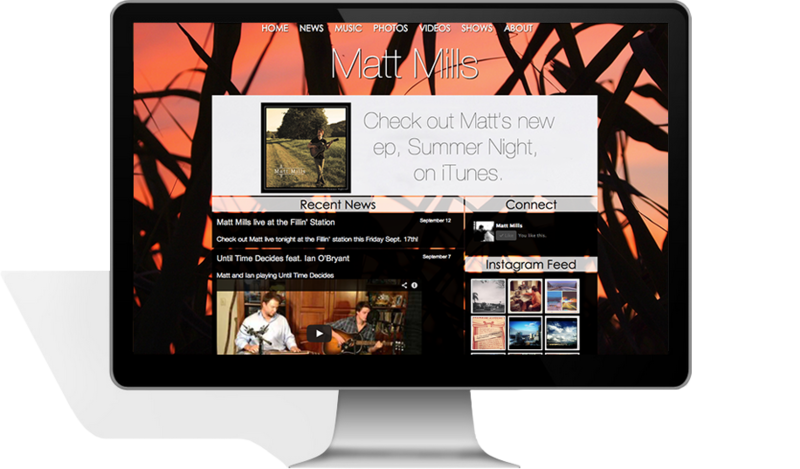 Matt is a singer/songwriter in Nashville and his music is rustic, warm and heartfelt. I wanted to match this style with the design, but without it looking dated. This was done with the use of slightly transparent boxes on a full screen background that can respond to your browser window size. The site also features an Instagram feed and utilizes the iStage.me CMS.